These shoots are so much fun, capturing people doing what they love while listening to how it all came to be is truly incredible. During the shoot we had an idea to use tools to simulate how it can sometimes feel when getting your teeth done. So we pulled out the hammer to gets some really fun shots! Fort St John has some amazing people, Michelle Worthon being one of them. 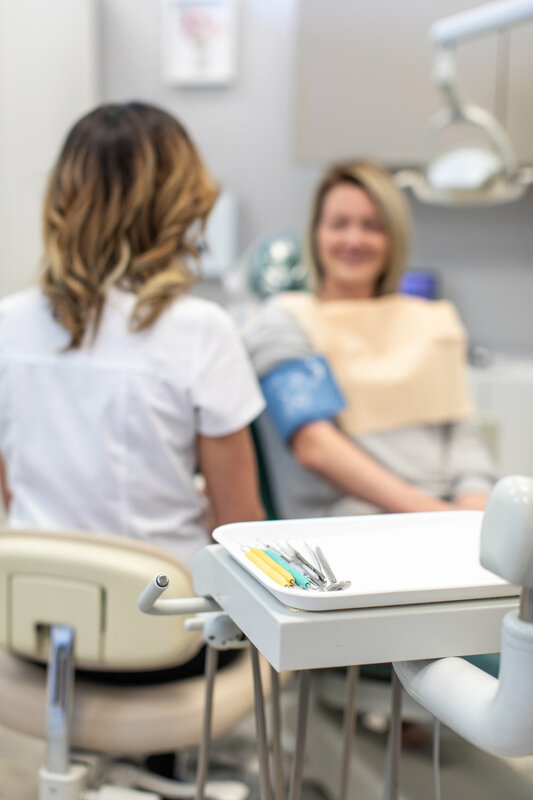 Owner and operator of Blooming Smiles Dental Hygiene, Michelle marries professionalism with a light atmosphere, for a perfect feeling of calm. If you are looking for healthier, happier teeth, then let the team at Blooming Smiles help you out.